Today I thought I'd share a party invitation with a Halloween color palettes that goes beyond the traditional black and orange. 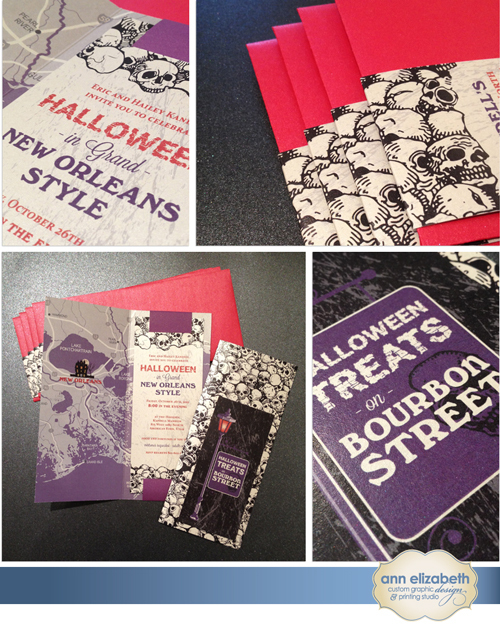 Purple and red as shown in this fun invitation set is one of our top picks for Halloween colors right now. A color palette like this one still needs some dark accents in order to achieve the spooky feel, but think of using black as the accent color... the cherry on top.... the finishing touch.... you know what I mean. Take my advise and don't be afraid to try out a bright or unusual color combination on your next Halloween project. You might just surprise yourself with the results. 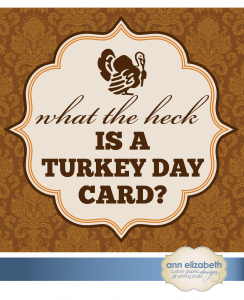 "What the heck is a Thanksgiving card?" you might ask. Well, let us explain. 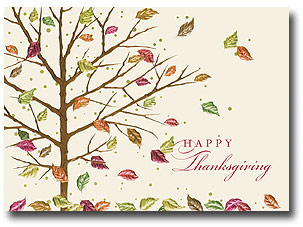 Just like a Christmas or Holiday card, a Thanksgiving card is meant as a token of appreciation to clients, friends and family as the year draws to a close. 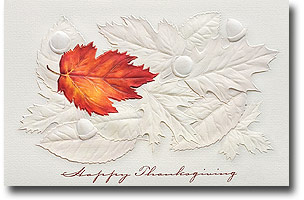 Thanksgiving cards are mailing in advance of Thanksgiving and feature a seasonal, fall greeting. Whether it be business or personal, the intent of any type of seasonal greeting cards is a reminder to those you care about that they are important. Getting in the habit of including a seasonal card in your yearly routine is key to keeping in touch with your most important peeps. 3: BEAT THE RUSH! Oh sure, it's just early October now but it will be December before you know it. Thanksgiving cards are mailed prior to Thanksgiving, so when everyone else is scrambling you can sit back and relax knowing you've already got it covered! 2: STAND OUT FROM THE CROWD. What do you do with the seasonal cards you receive at home or at work? My guess is that you display them somewhere in view. 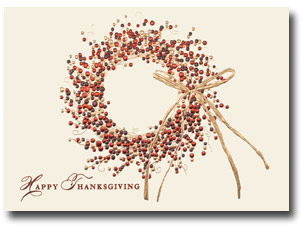 A Thanksgiving card goes the extra mile because it will be a prominent part of that display all the way through the end of November and clear through December. Yeah, baby, that's working it! 1: SAVE YOUR CASH! Most companies offer incentives and early bird discounts in October on seasonal cards. Use the discounts to order a Thanksgiving card and put the rest of the cash toward a fun holiday party. So whether you decide to send a Thanksgiving card, A Holiday Greeting or even a Happy New Year Card, make sure your card stands out from the estimated 7 billion greeting cards that will be sent this year. * Regardless of the type of card you choose your recipient will surely appreciate the thought that went into the gesture. 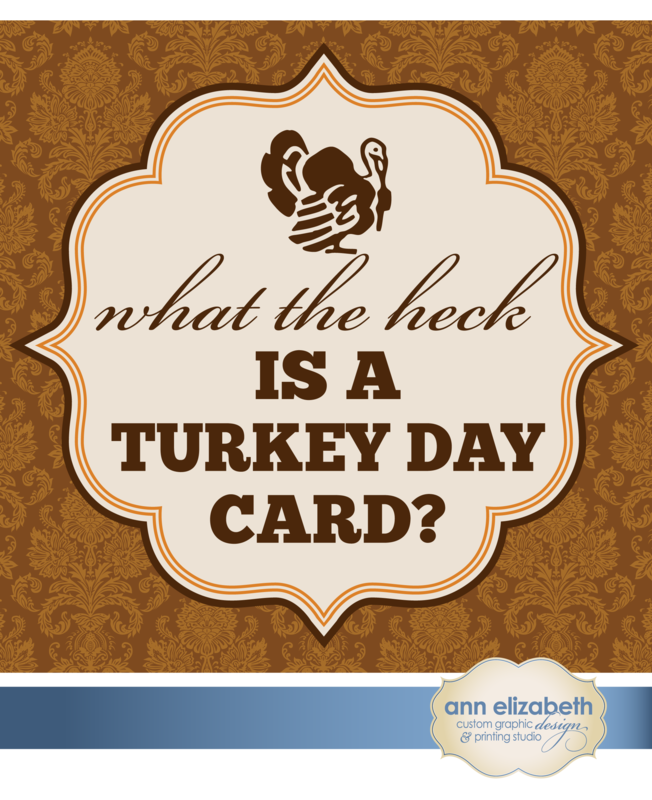 Interested in checking out some Thanksgiving cards? Click here to view our easy to order, pre-designed collection. Here's your pinnable for the day. 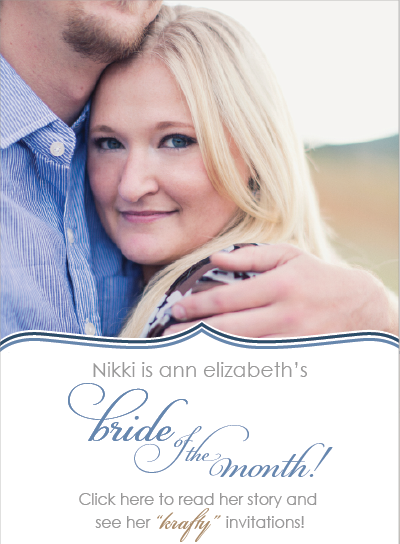 We'd like to send a giant congratulations to Nikki McKeon, our Bride of the Month for October! We can't say how much we enjoyed working with Nikki to make her dream invitations come to life. 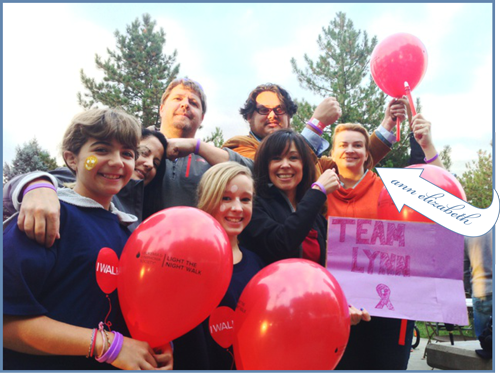 She was so much fun to work with, and we can't say enough good things about her. You'll want to take a look at her feature over on our website if you haven't already! Her invitations are the perfect combination of down-home fun and classy all at once.